Exciting Announcement: 30E Beer Available in Cans Soon! Since 30E draft beer was a introduced in the Spring of 2016, it has been so well received, that Cone Heads 8020 decided to expand 30E beer a little. So, this year, Cone Heads 8020 will be making 30E beer available in Cans! That’s right! Soon, guests can enjoy the refreshing taste of 30E while they are on the beach, on the boat, at a picnic, camping, back at home, etc etc. 30E represents the beautiful, unspoiled and untouched world of Cape San Blas, FL. 30E is not just Old Florida but it is Original Florida. Because of this, we endeavored to captured the spirit or life force of Cape San Blas, FL in the design of the 30E beer can label. 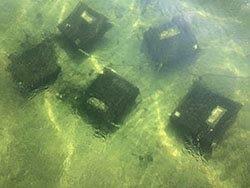 Among the many natural features that make Cape San Blas, FL unique, one amazing facet is that the sun rises out of the water (the Bay) and sets back into the water (the Gulf). Thus, the slogan for 30E beer is: The Sun Rises & Sets on This Beer. The description of the beer is: This laid-back ale pairs perfectly with life on Cape San Blas, FL. Pale yellow, the smooth malt profile and mild hop bitterness lingers like the Sun’s stroll from the Bay to the Beach. The hashtag for 30E beer is #UnsurpassedCapeSanBlas. Why not include that hashtag in your future posts when visiting Cape San Blas, FL but especially when you are drinking 30E. We truly hope that everyone will enjoy this relaxing taste of 30E! Below are images of the label. What do you think? New Product: 30E Draft Beer Coming Soon! As many know, Cone Heads 8020 has been showcasing the beauty of Cape San Blas by creating a logo called 30E. 30E is the actual state name for the road extending the length of Cape San Blas. So far, we have designed 30E decals and merchandise. Now, we have something new: 30E Draft Beer Coming Soon! Cone Heads 8020 has been involved in an extensive multifaceted renovation process. But, we have also been involved in another important and complex project: Creating Our Own Beer! Much thought and planning went into this new product: Should it be a light beer? Should it be an IPA? What about a dark beer? How smooth? Should it be a craft beer? Will it be refreshing? Should it be this or that? How should the tap handle be designed? How can the tap handle reflect something unique about Cape San Blas? 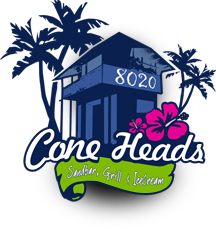 In addition to our own 30E beer, Cone Heads 8020 will be offering two additional draft beers that cannot be purchased anywhere in Gulf County except at Cone Heads 8020. We simply cannot wait for everyone to try our 30E draft beer and the additional two draft beers as well! We truly hope that everyone will enjoy these new products.